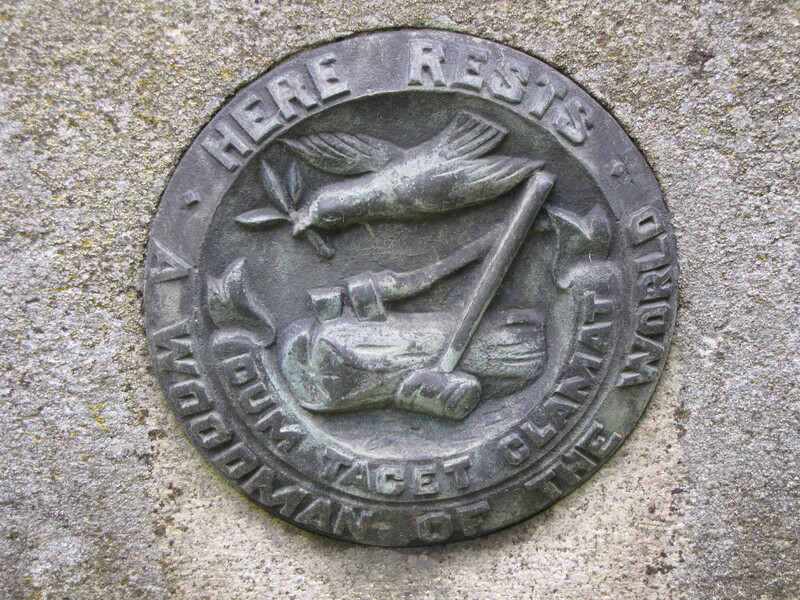 The metal medalion from a gravestone in the Beth Israel Cemetery at Portland, Oregon, marks the grave of a member of the Woodman of the World Organization. The influence of that sermon can also been seen in the metal marker above that has the symbols of the organization – axe, beetle (a sledge hammer or maul) and wedge – symbolizing industry, power and progress. The Latin phrase DUM TACET CLAMAT which means “though silent, he speaks” adorns the medalion. Root wanted to make sure that after the death of the breadwinner that the family would be protected through a death benefit payout, which was one of the goals of providing insurance to the members of the society.